We serve nearly 179,000 people in Tacoma, University Place, Fircrest, Lakewood, Federal Way, Steilacoom, Joint Base Lewis McChord, portions of Fife and other areas of Pierce County as far south as Roy. We also maintain an Integrated Resource Plan to guide us in exploring all available power sources and conservation options. This analysis helps ensure we have enough power resources to meet our long-term needs. Watch a video about the use of clean, renewable hydropower in the U.S.
Read our 2017 Source Report below. Tacoma Power produces or buys electricity from a number of different resources. We are providing you with information about the fuel used to generate the electricity you used in 2017, the most recent numbers available. The State of Washington requires that electric utilities provide this information to customers on a regular basis. The Washington State Department of Commerce, Energy Office, publishes the information, based on reports from electric utilities. Less than 1% can include other sources such as solar, petroleum, and waste. 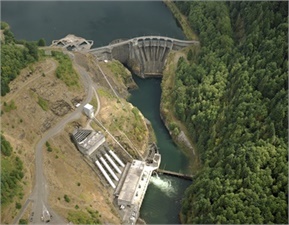 *Represents a portion of the power Tacoma Power gets from the Bonneville Power Administration. Fisheries programs, including hatcheries and the protection of native fish and their habitat. Wildlife programs to protect and enhance habitat. Parks and recreation areas near our reservoirs for public camping, swimming, fishing, nature watching, boating and day use. Cultural resource protection and education.